User interfaces have gotten so simple that all we really have to do is point to or touch what we want to interact with. But no matter how simple an interface is, there is someone out there who either won’t understand it or will just plain out hate it. 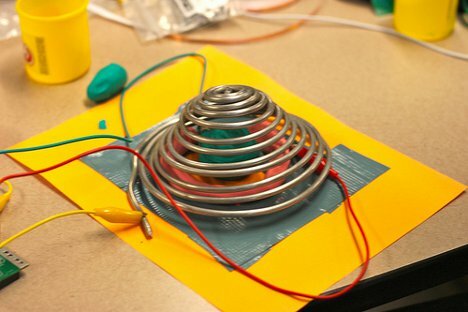 That’s precisely why members of the MIT Media Lab came up with MaKey MaKey: a kit that turns absolutely anything (as long as it’s conductive) into a custom interface. The kit consists of the MaKey MaKey board, alligator clips, and a USB cable. That’s it. You provide the objects that will become your mouse or keyboard. Some of the examples used by the project creators are using an apple as a mouse, using bananas as a piano, or using a piece of paper with a hand-drawn directional pad as a Pac-Man controller. 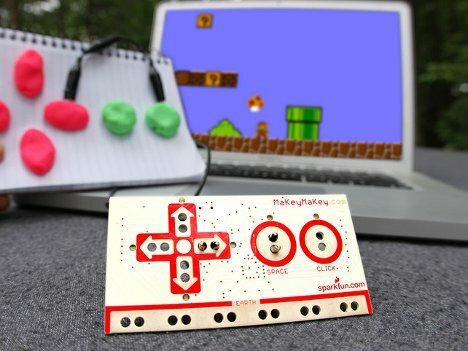 MaKey MaKey is recognized by computer programs and webpages as a mouse or keyboard, so it enjoys universal compatibility according to the team. The system opens up whole new worlds of possibilities, allowing not only for fun gaming applications but also for novel interfaces which can help people with disabilities interact with their world in exactly the way they need. See more in Do It Yourself or under Technology. July, 2012.